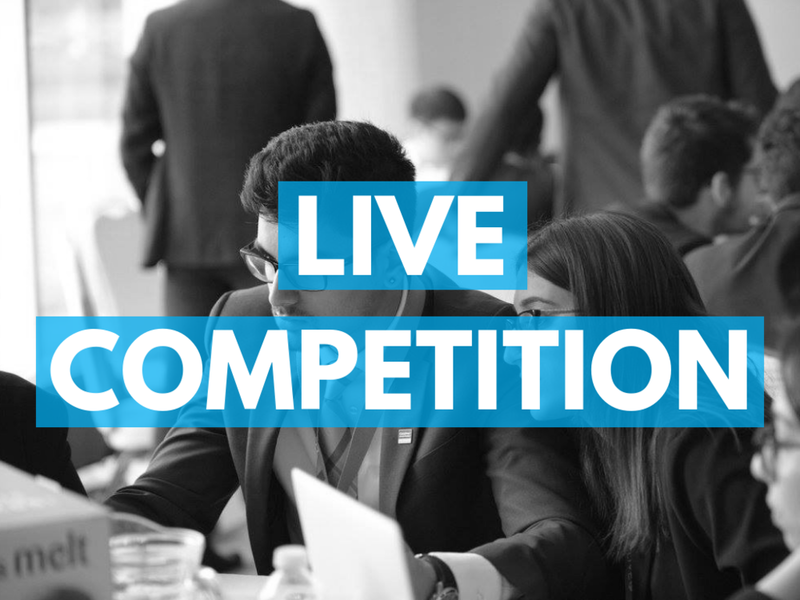 LIVE Competition is a two-day national multidisciplinary competition hosted by the University of Toronto. Our competition includes exclusive networking events, inspirational speakers, and interactive seminars that provide LIVE delegates with an invaluable experience that helps them identify and realize their potential. Another pillar of our competition is our curriculum which will challenge delegates to showcase their academic and professional skills while gaining practical knowledge in a realistic and interactive business environment. Once teams have been selected to compete, a preliminary round is released, which allows teams ample time to prepare their solutions for the competition. Along with our Curriculum team, we are able to build a preliminary round that caters to our Partners needs. All 160 delegates in teams of four arrive to compete where, they are able to showcase their elite talent through various case rounds, workshops and sessions. This will take place on January 18th. Our top 10 teams move on to Day 2, which is held 2 weeks after day one of the competition (February 1st). This is where LIVE’s finalists are able to present their refined rounds to partners.